If you are a tenant who is having a trouble with his/ her moving out and you are desperately seeking for an easy way to achieve the best condition for the property that you are vacating, you can always call Cleaners Agency London and ask us for our end of tenancy cleaning service. We have been specializing in this field for many years and we have developed our own professional methods to tackle any trace of dirt in no time. If you give us a chance we will not disappoint you. 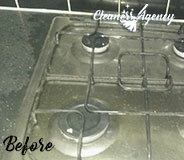 You should know that if you hire our end of tenancy cleaning service, you can expect nothing but the best. 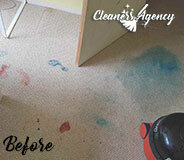 We are always capable of transforming even the messiest place into the most attractive property in entire Putney. Don’t miss the opportunity to enjoy a stress-free moving out experience and get your full deposit back. We are always ready to show amazing results and impress both you and your landlord. The reason why you can always trust us is that all of our cleaners are true professionals who know which tools and products can lead to fantastic results. We know that trust is very important when it comes to cleaning services and this is why we can assure you that we are the most reliable cleaning company in Putney. We hope that you will give us a chance to prove you that we are definitely worth booking. Our cleaning equipment and solutions are with a very high quality and this is why you can be sure that the property which you are vacating will look wonderful and your landlord will have no other choice but to give you back your full deposit. Even though that our professional service is with an excellent quality, you can be sure that the price that you will be charged for it will be very reasonable. We believe that every tenant deserves a top-notch service and a stress-free moving out but we disagree that our customers should pay a fortune for our help. Give us a call and see for yourself that we offer the most budget-friendly end of tenancy cleaning service in entire Putney. 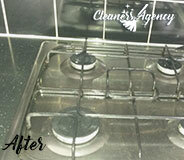 The end of tenancy cleaning you delivered has been fantastic. Each member of the cleaning crew pays attention to the smallest of details and our 3-bedroom unit was looking sparkling in the end. We were not surprised that we kept the security deposit in full. We would definitely recommend. 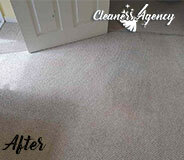 Cleaners Agency London was established plenty of years ago in London, England. We offer a wide range of professional cleaning services to all Londoners who find it hard to spare much time on the cleaning duties. Ever since our establishment, the number of our regular customers is continually growing. We work with the most hard working and experienced cleaners, carefully selected from all over the area of London. They are trained and prepared to get any cleaning chore done, completing our customers’ needs and exceeding their expectations. Some of the main reasons because of which customers ask for our help are our efficiency and affordable prices. We think that more and more customers should be able to afford our professional cleaning services and for this purpose we have set very low prices. In case you are intrigued by our company and services, you can reach us seven days of the week. Having to clean your whole property when moving out is often a challenge, even for people who know how to deep clean it. Putney tends to keep its residents busy all the time, and some of them feel pressured when moving out. This is precisely why we operate here and we offer our services to every citizen in the process of moving out. Surely, Putney’s market offers hundreds of cleaning products and tools, but wouldn’t it be cheaper if you book a professional end of tenancy cleaning service? If you don’t have the time to thoroughly clean the place you are leaving, you can simply book our end of tenancy cleaning on this tempting price! Our experienced and knowledgeable cleaning teams will come right on time to start with the cleaning and will not forget even the smallest details of the interior. The equipment they will use is specialised and suitable for different types of surfaces; it is included in the price as well. Dealing with the cleaning procedures when leaving a property has never been easier! Book our end of tenancy cleaning with the help of our polite and friendly customer support team and we promise to exceed yours and your landlord’s expectations and win you the full refund of your deposit money!